Beth Collingz, International Marketing Director of PLC Global Pinoy, an internet based sales and marketing company and lead marketing partners for the Lancaster Brand of Condotels in the Philippines, said guests can now choose to stay in the condotel’s well appointed executive studio suites and two-bedroom loft rooms complete with air-conditioning, queen-sized bed, television, toilet and bath, a living room set, and a kitchen and dining area, which comes complete with a set of cookware and dinnerware. The bathrooms are equipped with a bathtub, retractable clothesline, hairdryer and water heater. Located in Lapu Lapu City, 3 minutes from Cebu-Mactan International Airport, LCRR is about 2 minutes away from Marina Mall, about 15 minutes away from the historic Lapu Lapu Shrine and Mactan Shangri-La Resort Hotel. Other resorts, Cebu White Sands, Tambuli Beach, Maribago Blue Waters and Plantation Bay Resort are all within 20-25 minutes drive. For the soft launch, LHLPI has prepared special promotional room rates aimed at budget travelers. Guests can check-in to any of the executive studio suites for as low as $35 a night or to any of the two-bedroom loft rooms at $65 a night plus 13% Government Tax whilst longer term discounted rates for monthly and yearly lease rentals are also available said Collingz. 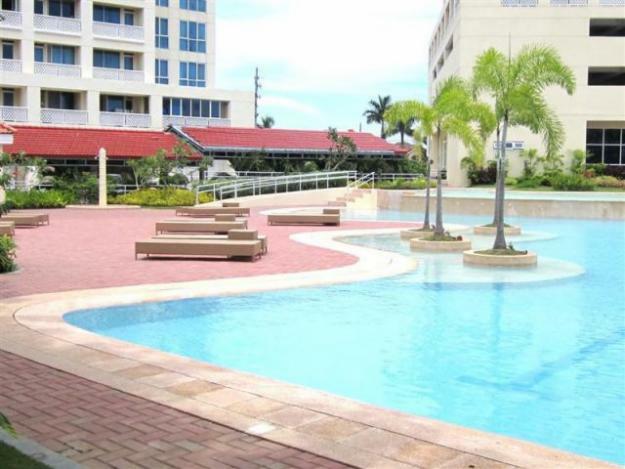 Lancaster Cebu also offers Studio Suites for sale. Collingz said Fully Furnished Studio Suite 36.5625sqm [395sqft] Philippine Pesos: -Pph-75,321.00/sqm -Pph-2,753,924.06 are available and may be purchased with initial Reservation Fee -Pph-100,000.00 Balance Payable without interest over 24 consecutive equal monthly payments of -Pph-110,580.17 [Tax Inclusive]. Alternatively Save -Pph-106,156.96 by making Reservation [-Pph-100,000.00] then within 30 days 40% Net Down Payment of -Pph-955,412.70 with resulting Balance payable without interest over 24 consecutive equal monthly payments -Pph-66,348.10. Another option, Pay Cash and take 10% discount [Save -Pph-275,392.40] Pay the Reservation Now [-Pph-100,000.00] and the Cash Balance within 30 days [-Pph-2,378,531.66] for an Effective Total Cash Price of -Pph-2,478,531.66. This Suite many also be purchased on Five Year Payment Terms through our no qualification “In-House” Finance with 15% Down Payment.